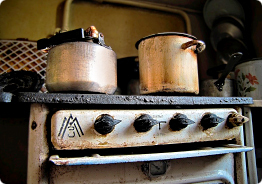 Home>News>Should we multiply to 1,5? What will be result of rates increase for gas transportation? In March FEC (Fuel & Energy Complex) Presidential Commission considered a report of the Ministry for Economic Development concerning the positions of price formation for gas on the domestic market of Russian Federation. There were announced proposals which concerned reforming in this field including the proposal of the Ministry about step-by-step rates increase for transportation of gas through the GDO (regional gas distributing nets) nets. The cost for gas transportation might increase in 3,5-5 times. From the documents of the Economic Development Ministry: The Ministry considers that the rates increase for gas transportation is viable. The goal is to raise investment attraction of gasification for business, to draw attention of independent gas manufacturers. 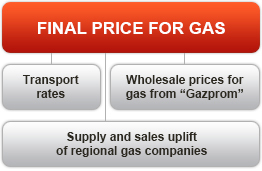 To make the investments to the gasification profitable, it is reasonable to raise available average rate for gas transport from 600 rubles (for 1000m3) to 2000-3000 rubles. Division to the steps is appealed to make the price increase for gas insignificant. Rates for transportation of «blue-sky fuel» also include the expenses for maintenance and service of regional gas nets. It often happens that the rates don’t allow to cover expenses for sustentation of operation of such volumes. Quite remarkable example is a big quantity of left off GDO after collective farms and factories were closed. But anyway they should be maintained because the citizens receive gas through these gas distribution nets. Rates increase for gas transportation is appealed to solve this problem. 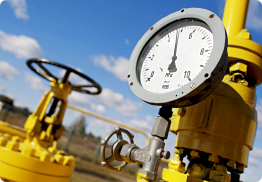 «Gazprom» sees other scenarios: to increase special premiums for gas in the future what often takes off the loadings from the regional budgets for construction and repair works of town and regional nets. Price increase for gas delivery through regional nets might cause the price increase for gas for final consumers (including citizens) in 1,5 times. After GDO rate strike in 3,5-5 times in will almost come to the price for gas. It will probably give an impulse to expansion of the systems of alternative gasification. This is opinion of experts. Professionals from Group of Companies «Terricom» which is official representative of Italian Corporate «Antonio Merloni Cylinders Ghergo Group S.p.А.» in Russia see for a long time potential and relevance of independent gasification. Gas supply for private house on base of vertical gas tanks will allow to take such often news about rates increase for gas with the tranquility of a person who offered to his home independent warmth.